Twenty plus years of EnerGII being fed to dairy cows… let’s take a look back at the research results. When compared to a ‘no added fat’ control diet, EnerGII consistently yields more milk. Most recent studies show an increase in milk fat as EnerGII adds more Palmitic Acid, often replacing some unprotected 18:2 source, such as distiller’s grain. The overall impact is 5+ pounds more FCM at the 1 pound feeding rate. 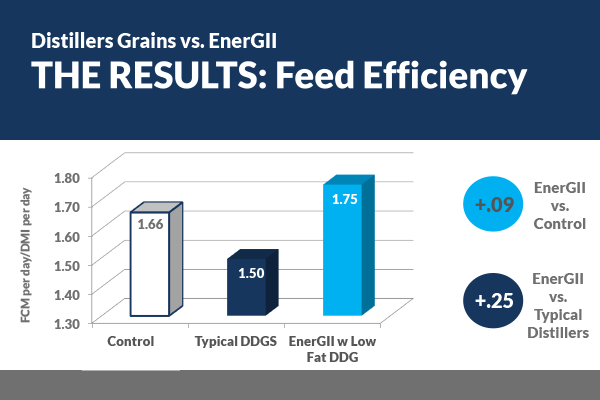 Due to the impact of Oleic on increasing digestibility, EnerGII yields higher FCM with the same or lower intake. 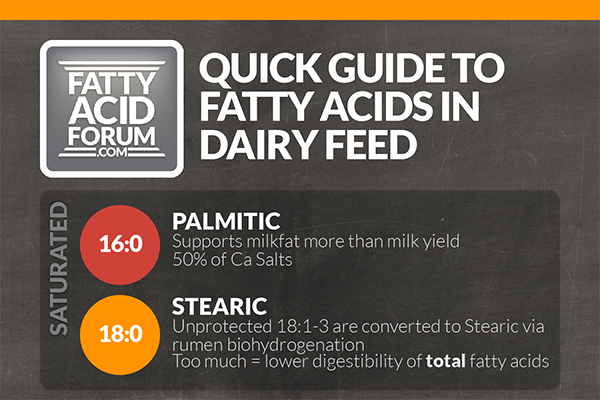 More fat corrected milk with the same or less intake means a more efficient herd. EnerGII gives cows more energy to use wherever they need it most, including replenishing body condition. It is well established* that Palmitic supports milkfat, and to a greater extent than milk flow. Balance is key as milkfat is not the only goal. 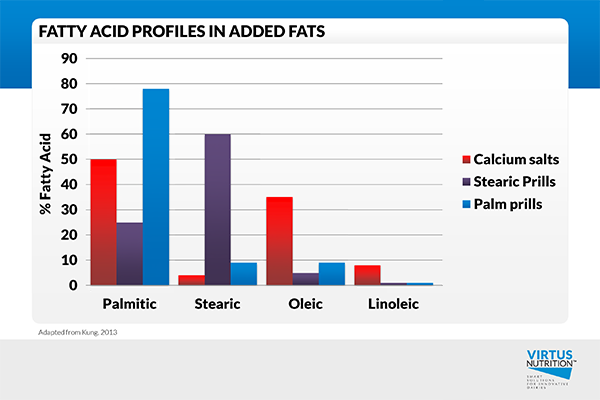 Oleic acid enhances the digestibility of all fatty acids via micelle formation**, supporting milk flow, reproduction and body condition replenishment. ** Adapted from Lock & Bauman, 2006; Sniffen, 2004. Take a look at the results of a 2014 UC Davis study on the differing impacts of DDGs and EnerGII on dairy cows! 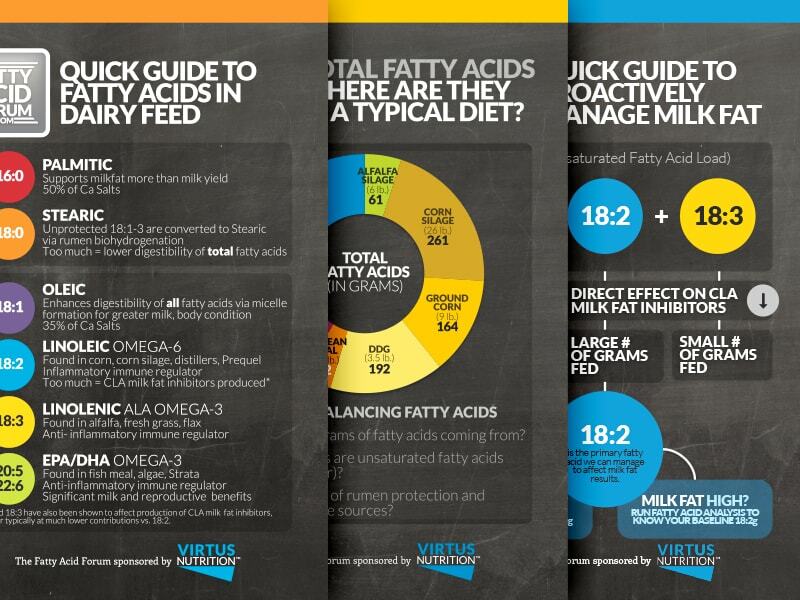 Searching for the ‘perfect’ fatty acid profile in a fatty acid supplement? In this 5-minute video, Dr. Kevin Murphy reviews the key differences in the fatty acid profiles of the main bypass fat supplements on the market today. The better you take care of your cows, the better they take care of you. 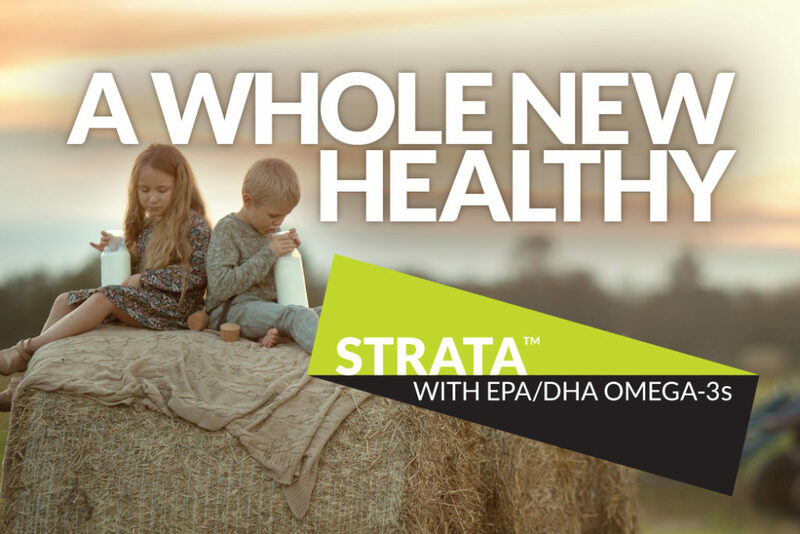 See how feeding your cows the right levels of omega-3 fatty acids results in a balanced immune system and more energy for milk & reproduction. Is Your Close-Up Diet Missing the Mark? 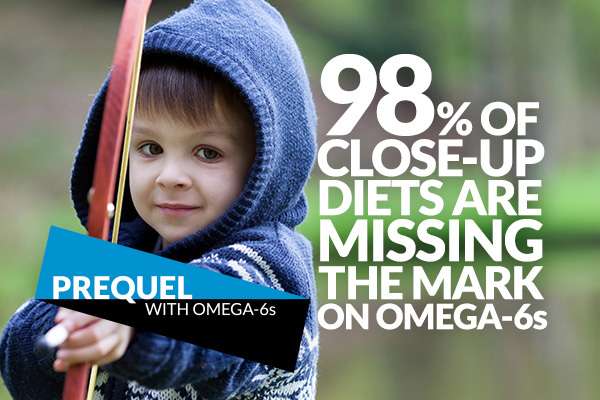 Watch this 3-minute video to learn how to improve immune function and transition performance by hitting the mark by feeding Prequel with Omega-6s.